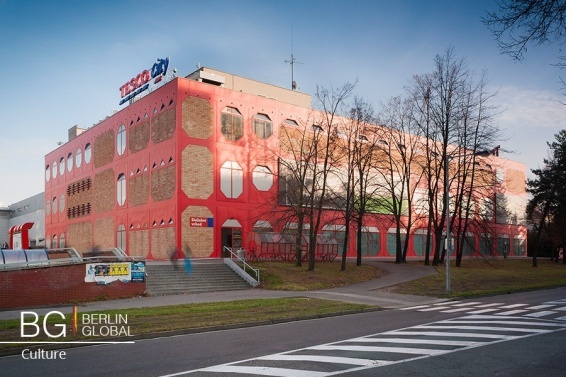 In the architecturally valuable building of the Czech Republic’s Embassy in Berlin, a German premiere of an exhibition presenting the most significant Czech shopping mall houses of the sixties and the seventies will take place. Design and implementation of these constructions have played an irreplaceable role in Czech postwar architecture. 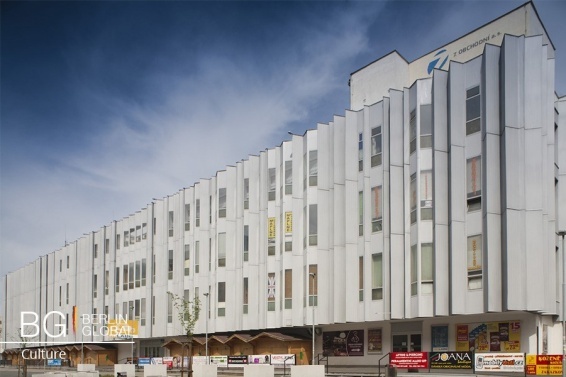 It is not only regarding the most famous buildings of the shopping malls such as Anchor or May in Prague, but also it is regarding the regional shopping malls in Pardubitz, Olmütz, Aussig an der Elbe or Pilsen, specialized stores, houses of production and consumer cooperatives. The famous Reichenberg’s shopping mall called Jeschken that was demolished in 2009 will be the object of discussion too. The exhibition "Modern shopping" is an extension of the exhibition project "Anchor May / Czech shopping malls between the years 1965 and 1975", whose author is an architect and architectural historian Petr Klima from the Prague Academy of Arts and Pilsner association Grow space. In the Czech Centre in Berlin, the exhibition will be distinguished by additional artistic interventions that did not take place in the Czech, Slovak and Polish cities such as Prague, Brünn, Pilsen, Olmütz, Reichenberg, Aussig an der Elbe, Preßburg or Sttetin. While Dana Bartonickova will be speaking about sensory experience of the environment of shopping malls, during her presentation, Barbora Simonova will be dealing with two major shopping malls of the Ruzena Zertova as well as with her house. As an example of free art and graphic design, the collages of Martin Czeller will be displayed. These works will be dedicated to the visual smog in the exteriors of examined buildings. The exhibition will display also a neon light installation with the inscription PRIOR. Finally, visitors of the exhibition will have a possibility to see some selections of Viera Machoninova’s and Zertova’s drawings.